Over the years, I’ve shared examples of a politically correct Christmas, several versions of a TSA Christmas (here, here, and here), a couple of versions of The Night Before Christmas (here and here), and even a story of Santa Claus getting busted by the IRS. 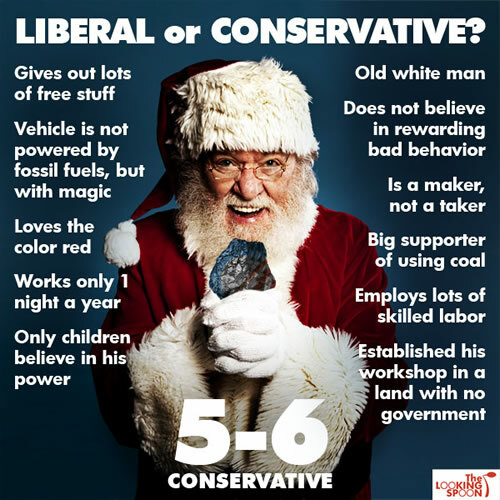 But one of my favorites is the poster asking whether Santa Claus is on the left or on right. Is he more like Bernie Sanders because he “gives out lots of free stuff”? Or is he more like Paul Ryan because he “is a maker, not a taker”? Amusing, but it’s time to take this this to the next level. Right or left is too mainstream. 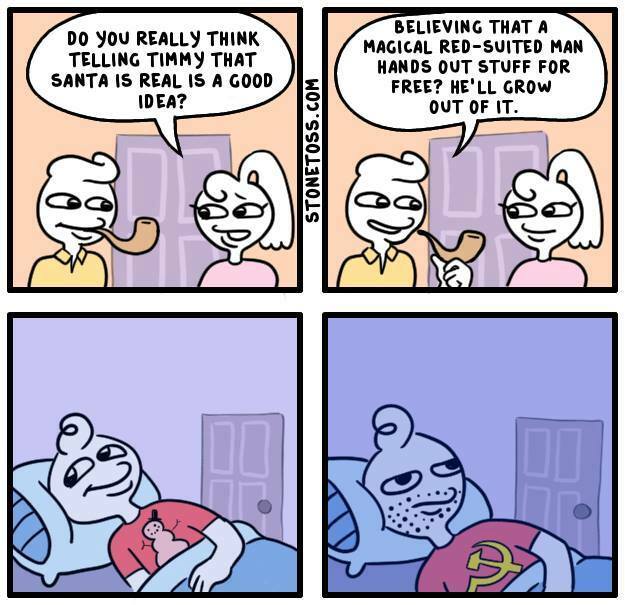 Let’s ask the more fundamental question: Is Christmas a Marxist holiday or a Randian holiday ? We’ll start with the first option. Here’s a cartoon strip that would make Karl Marx smile. 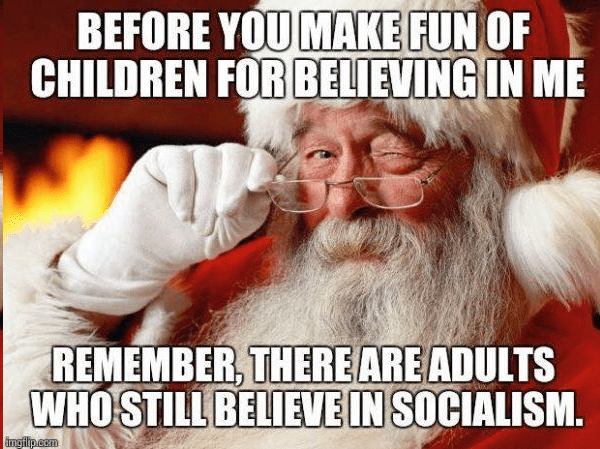 Now let’s look at some Christmas spirit from Ayn Rand. There are 21 satirical Randian Christmas cards to choose from. Here are the two that I found most amusing. Ouch. While I’m a fan of Atlas Shrugged and think Rand was a net plus for the cause of liberty, I’m not a Randian and these quotes are a good example of why her philosophy of objectivism leaves something to be desired. But this isn’t a day for serious discussion. So I’ll close by linking to some clever Obama-era Christmas cartoons (here, here, and here). And this one-liner from Jay Leno is always worth a chuckle. Last but not least, here’s a cartoon video showing what would happen if Obama ran the North Pole and another video with Santa grousing about unhelpful policies from Washington. Thank you, Dan for the good work you do. Merry Christmas and a healthy, prosperous and hopefully happy New Year to you and your family. You confuse Charity with altruism.